Our unique 1 piece design makes installation easy! All brackets include mounting hardware and DZUS receptacles which accept 1/4 turn Dzus fasteners. These are exactly like the fasteners used on stock Harley Touring models. All brackets are finished in Sumax High Gloss Black powder coat. Adjustable Saddle Bag Bracket Hanging Kit, includes (4) L shaped brackets with Dzus receptacles, stainless steel mounting hardware and rubber bumpers. New Support Bracket braces your saddle bag brackets side to side. These 100% made in the USA cold rolled steel brackets are finished in Sumax High Gloss Black powder coat. Comes complete with stainless steel hardware for easy installation. 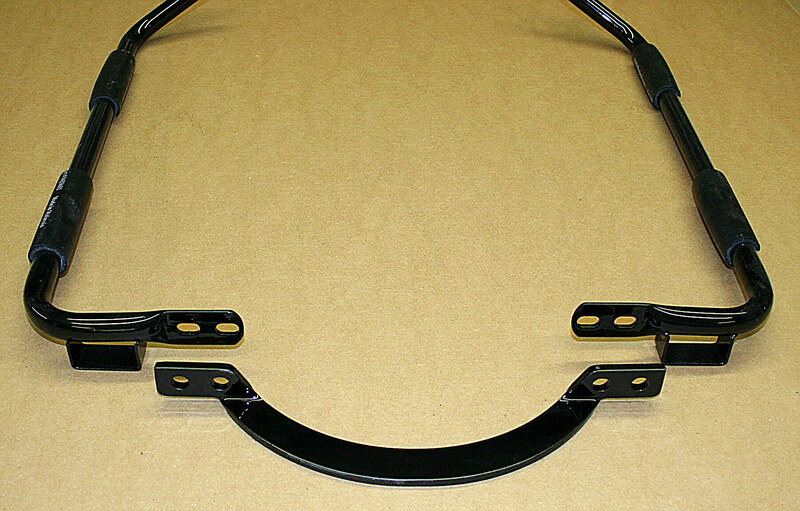 This may be used with your 1993 – 2008 stock Harley Davidson Saddle Bag Brackets or with our 8758 Phantom Brackets. Our Sumax Cross Brace is specifically designed to work with our Sumax Saddle Bag Brackets, and is designed to reduce vibrations and add more rigidity. They are made from 3/16″ Laser Cut Steel, finished in Sumax High Gloss Black powder coat and are adjustable to work with all of our Saddle Bag Brackets. 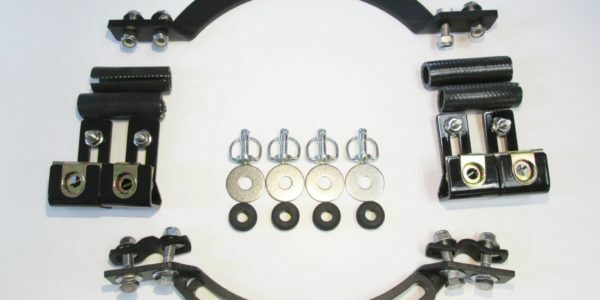 Dzus Fastener Kit includes (4 each) Washers, Dzus Pins and Rubber Grommets for all year Harley Davidson Hard Bags.